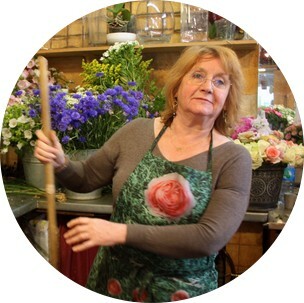 When we try to explain the idea behind MyFrenchLife™ to Muguette, a mature French woman wearing a floral apron and clutching a tired-looking broom, she looks at us blankly. It’s clear that something is not quite translating—both the concept of an online magazine and our journalist’s shaky French are a little difficult for her to comprehend. 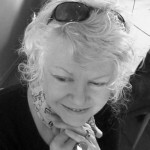 But she agrees to answer our questions about her shop Des Fleurs Pour Soi, looking wary but willing. As we talk, Muguette gradually becomes more comfortable, although she keeps working on her bouquet and responds mostly with her back turned to us. And after a customer comes and goes—a transient looking man who buys a single rose, and whose presence sends the dog into a barking frenzy—Olivier warms to us as well. The two speak over each other as they answer my questions, detailing the differences between artisans like themselves and big chain stores. They write down the French names of flowers for us in a notebook, and eventually offer us an espresso. It’s an experience you could only have in this city, where family-owned shops survive despite changing sensibilities, and artisans put a premium on making and sustaining genuine relationships with their customers. Located on the fabulous Rue des Martyrs in the 9th arrondissement, Des Fleurs Pour Soi can be recognised by its hand-painted sign, featuring a dog in a spiked collar (though a different pup from the one who currently holds court inside the store, Crocusse). Pink flowers climb the wooden carts outside, trailing vines that interweave with the hanging baskets. 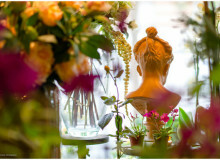 Bearing a fierce pride for artisan traditions and offering a distinctly French brand of no-nonsense hospitality, Des Fleurs Pour Soi is perhaps one of the most authentic places to be found in Paris today. How long has this store been here? Muguette: Someone opened a flower shop here a long time ago, before we got here. 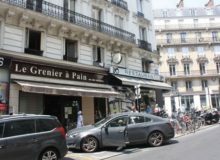 Olivier: But this is not simply a flower shop anymore. And when did you start at Des Fleurs Pour Soi? M: It was a really long time ago, and before, we were at another shop on this street. O: 28 years on the street, and 17 years in this shop. We know the system of the neighbourhood and the street very well by now. And why did you choose to be a florist? Is it a family tradition or a personal passion? M: My ex-husband was a florist. And are there a lot of florists in this area? 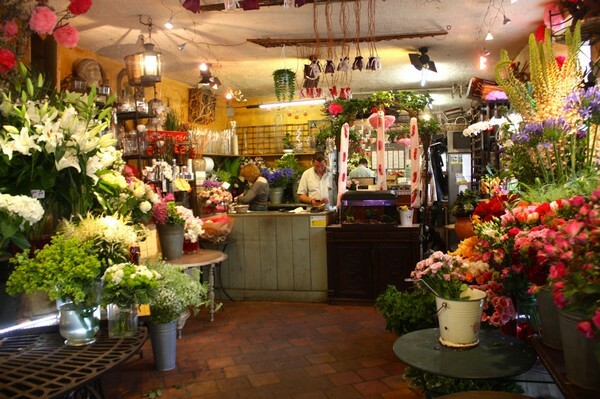 O: Real florists—real ones—well, there are two kinds of shops. Fleuristes and marché aux fleurs. 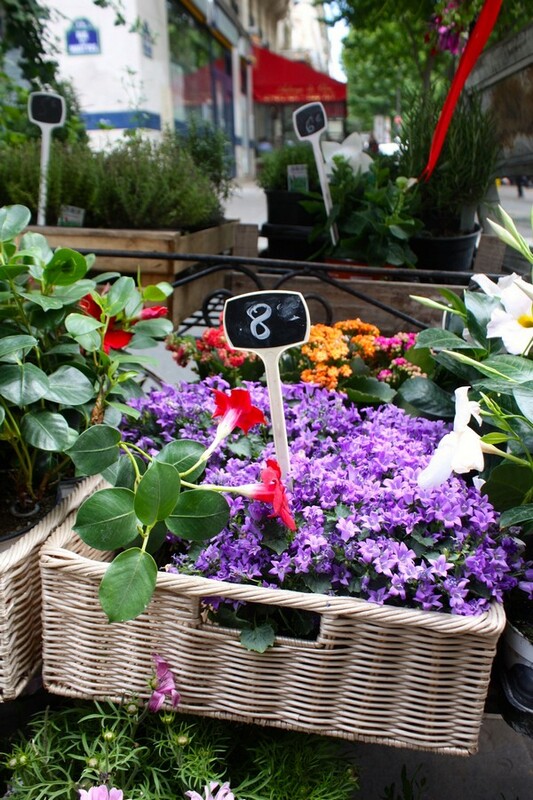 Marché aux fleurs, what does that mean? I’m not exactly sure. Is it a bigger store? O: It’s all the chains: Monceau and the rest. It’s like a supermarket for flowers. Ok? Fleuristes are different. It’s a métier. We sell what we produce … As a profession, the people who work in flower markets—they have money, they sell flowers. But the flowers aren’t good, they have no scent. 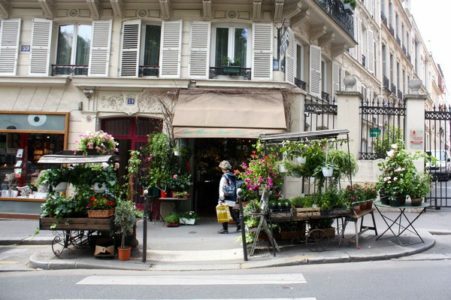 So are there many real florists in Paris? O: You have to find them. Here, we do several things in the boutique. We manufacture and produce everything ourselves. 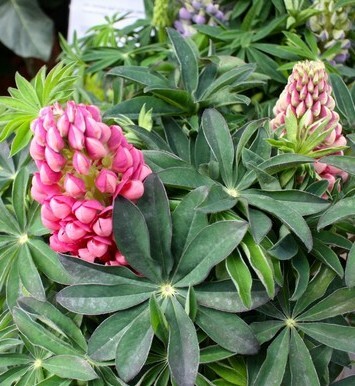 The flowers in the supermarkets are not the same quality. It’s truly different, the qualities. We manufacture and produce everything ourselves. 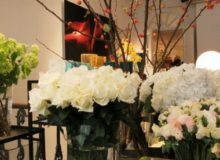 And where do the flowers at Des Fleurs Pour Soi come from? M: All the flowers that are in season come from l’Ile de France. Very, very few come from farther away. Which flowers are the most popular? M: The most popular? Roses. O: The rose, through all seasons. But each flower has its own season. And what flowers are popular in other seasons? M: The peony is in summer. In winter, there’s the anemone, buttercup, tulip. And in autumn and spring? M: In autumn, there’s the dahlia, gladiolas. In spring and summer there’s roses, peonies, sweet peas. M: Everything [laughs]. Almost everything. I do like roses. And as florists, do you find the French to be very romantic? O: Oui, oui, oui, oui! M: Not as much anymore, no. We’ve found that as you get closer to Montmartre, there are higher quality florist boutiques. Would you agree? O: That’s what I was telling you earlier, the difference between fleuristes and marchés aux fleurs. Very important. 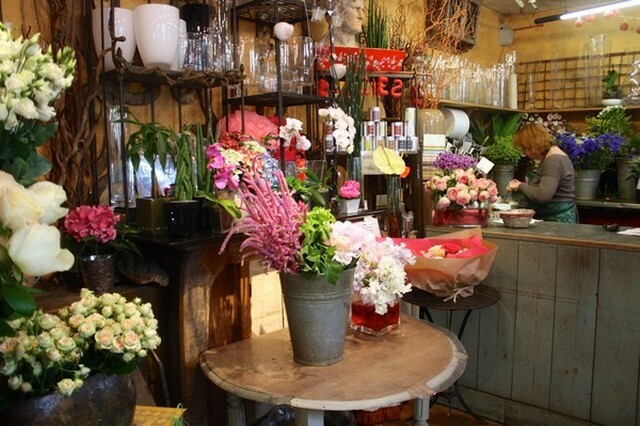 Small boutiques for flowers are the same as artisans who make excellent bread. Neither is like a supermarket. We understand! Actually, that’s the goal of our Paris Mosaic series, to discover artisans and small businesses. O: In all of France, it’s a country full of artisans who work with their hands. But more and more, they are disappearing. Because the big stores eat the little ones. You understand? Yes, we find it’s the same in our home countries, like the US and Australia. Yes, it’s just business. But us, we have very good customers. We know them, we know their children. You see? The children were small, but now they’re grown. And they still come to us. Just like their parents. It’s natural. 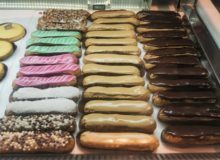 Where are your favourite places to go around Paris to get food, or something to drink? Are there any restaurants or bars in particular that you like? Do you prefer to buy flowers from the Supermarket or artisan florists? Why? Share your answers with us in the comments box below.